On Tuesday, December 5, 2017, The Fishing School welcomed volunteers from Wells Fargo to Bishop Walker School for Boys. Representatives from Wells Fargo made a presentation called, “Hands on Banking: Money Skills You Need For Life.” This interactive presentation helped TFS students learn the basics of budgeting. In 2014, 26% of DC’s children were alone and unsupervised between 3 and 6 pm. 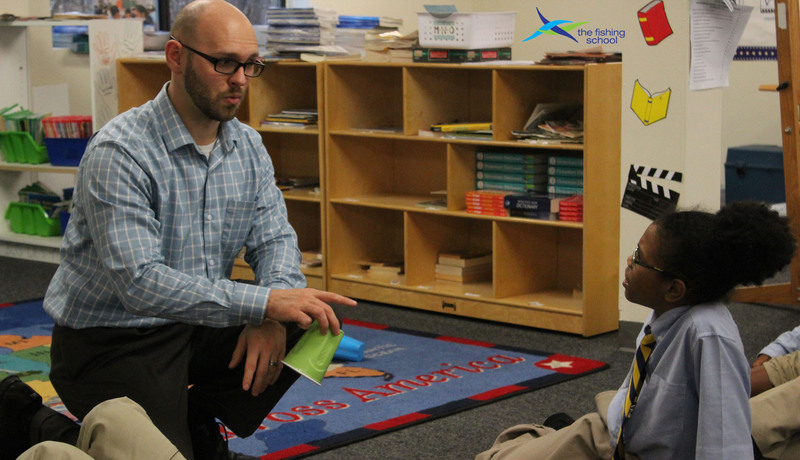 On average, TFS students receive 12.5 hours of weekly intervention. Research shows that when children are engaged in afterschool programs, they do better. Copyright Ⓒ The Fishing School 2017 - All rights reserved.